Former MLA from Belagavi South Sambhaji Patil’s son Sagar fell from the railway and died as per the initial reports. Sagar Patil and his friends had been to Bengaluru and on their return journey on Rain Chennamma express when all were having food, Sagar had gone to the toilet but as he did not come back for a long time, they tried calling his mobile and the same was picked up by a police and that is when they came to know that he had fallen from the Railway near Yesvantpur bridge. The RPF have found the body under a bridge which is 25 feet deep. It is still very unclear as to how he fell down from the train. Venkatesh B Kulkarni Nehru Road Tilakwadi Belagavi My heartfelt condolences to Sri Sambhaji Patil Ex-MLA, I pray Almighty to give you and your Family, strength to bear this irreparable loss of a Son Sagar Patil in an accident in Yeshwantpur, Bengaluru. May his soul rest in peace. 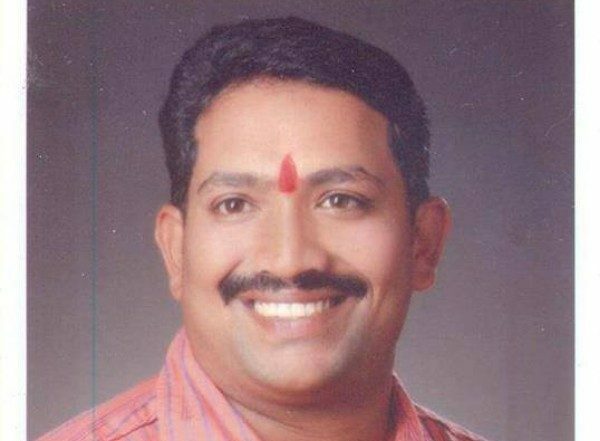 My heart felt condolences to Mr. Sambhaji Patil.